Kingsport All Surface Junior Kids Basketball Hoop & Stand Outdoor Toy Set 168cm This is a junior basketball with metal Stand and hoop & weighed base(which can be filled with water or sand) for maximum stability. The basketball is designed to use in any surface and can be played in garden , park or beach . The height of the item is adjustable providing the right challenge level. This toy provides great fun while playing. Practice your basketball skill on this toy. Help kids develop hand-eye coordination. 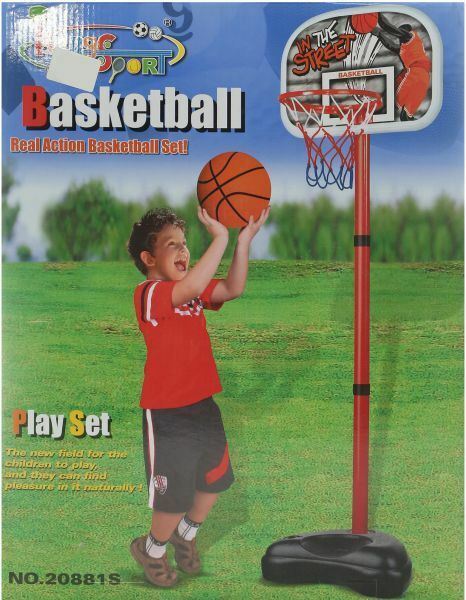 Practice your basketball skill on this toy. Maximum height 168cm. Hoop height 135.5 cm. 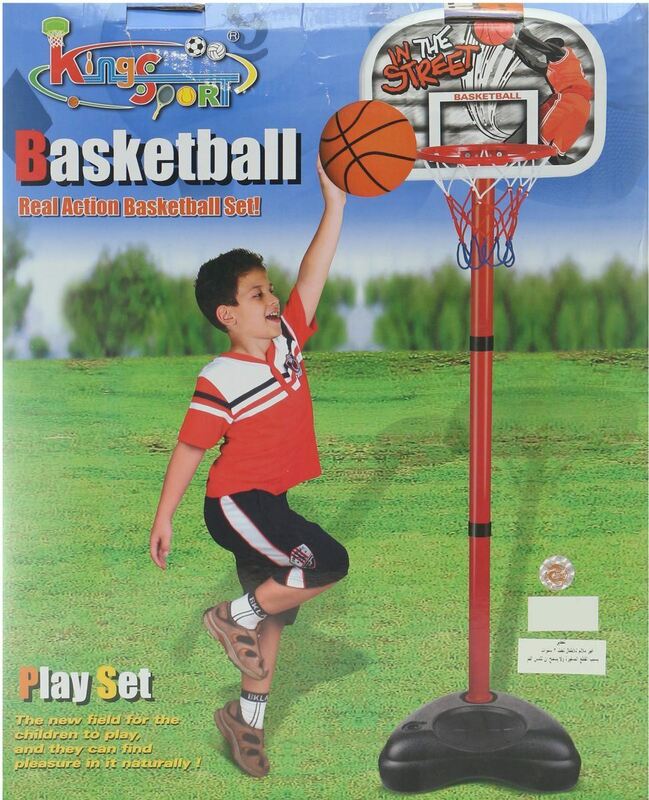 This basketball set is designed for use on any flat surface. and there is a backboard (46cmX32cm) at the top with a basketball hoop. Safe inflatable Basketball included 6" size with Pump. This is a junior basketball with metal Stand and hoop & weighed base(which can be filled with water or sand) for maximum stability. The basketball is designed to use in any surface and can be played in garden , park or beach . The height of the item is adjustable providing the right challenge level. This toy provides great fun while playing. Practice your basketball skill on this toy. Help kids develop hand-eye coordination. Practice your basketball skill on this toy. This basketball set is designed for use on any flat surface. and there is a backboard (46cmX32cm) at the top with a basketball hoop. Safe inflatable Basketball included 6" size with Pump.